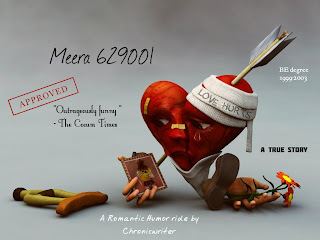 Meera 629001 is a romantic thriller that brings out the best of college day romance and hurt. Click the picture to read the e-Book. ha ha ha... good one.yahoo chat was a lot of fun. I can't stop laughing. Each and every post makes me to smile.